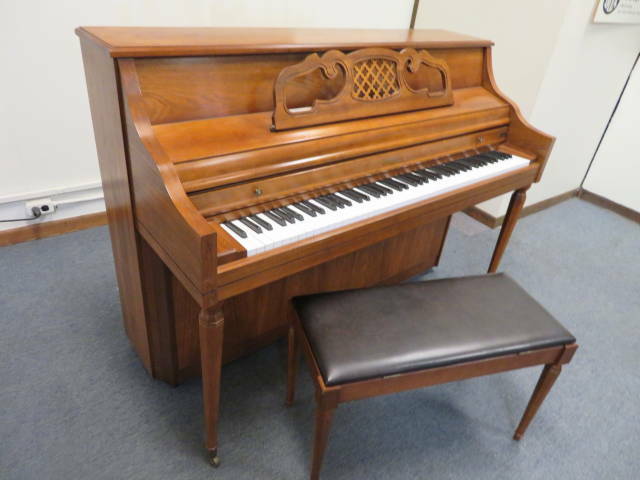 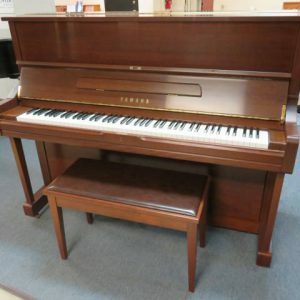 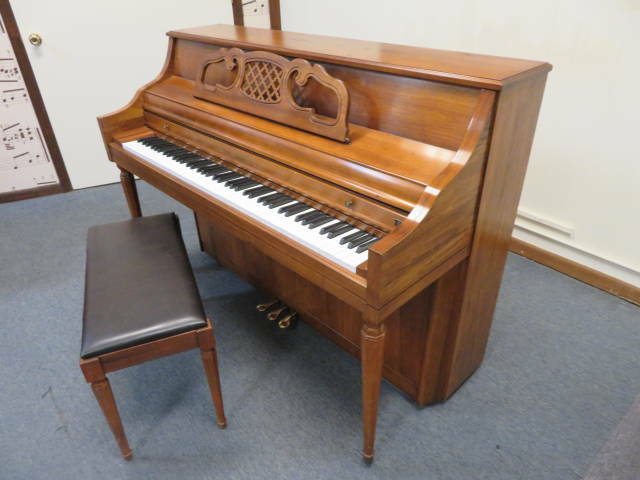 Kimball 42″ upright with matching bench built in the U.S.A. 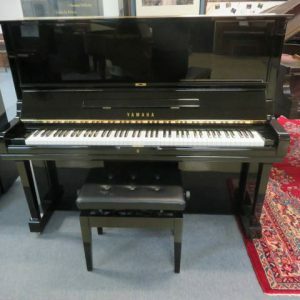 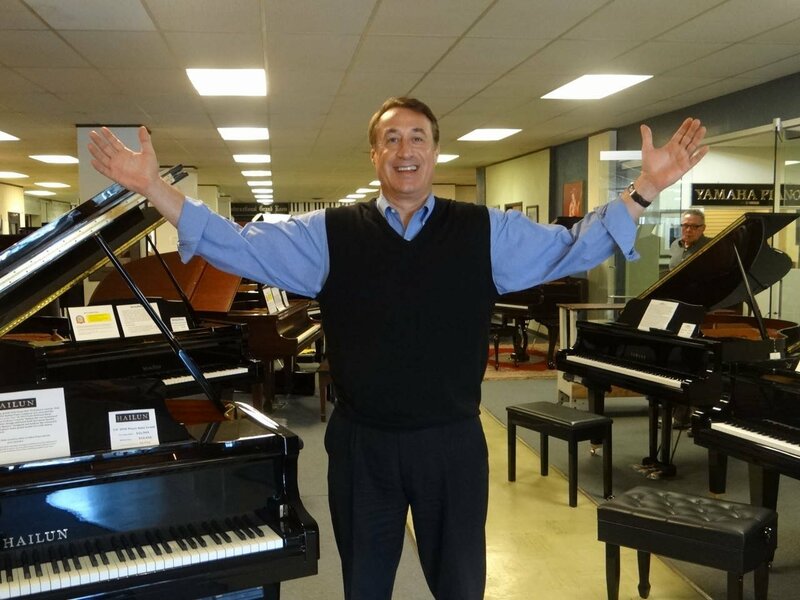 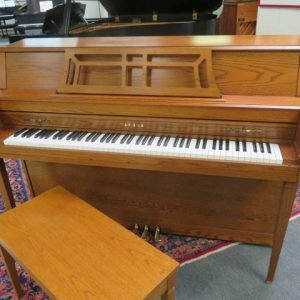 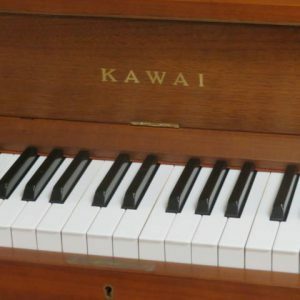 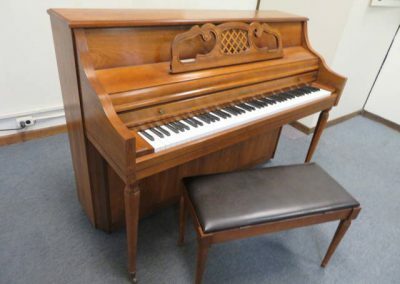 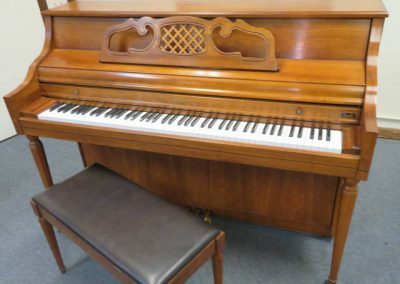 This Kimball piano was meticulously maintained every year and came from a beautiful climate controlled home and is in Excellent Condition inside and outside. 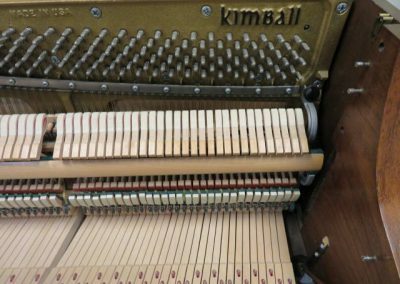 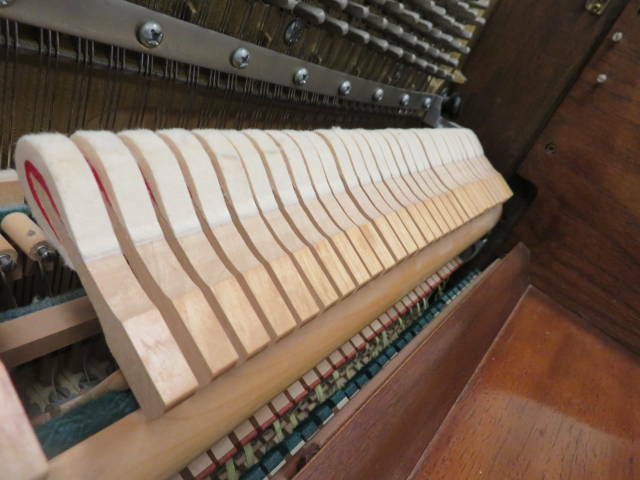 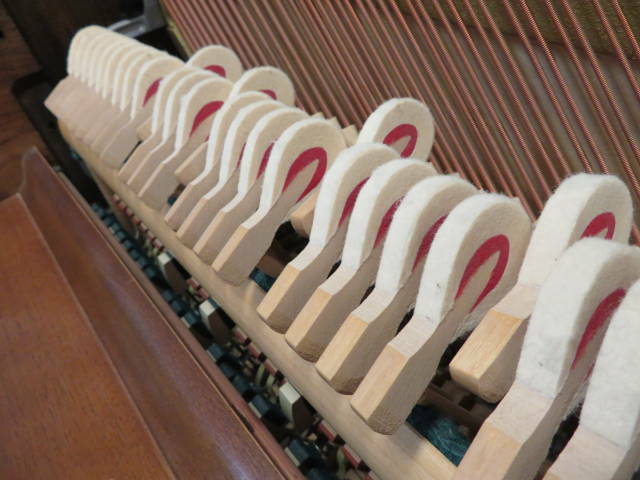 (Please see detailed photos).This Kimball piano is 100% structurally sound and has been professionally concert tuned to A-440. 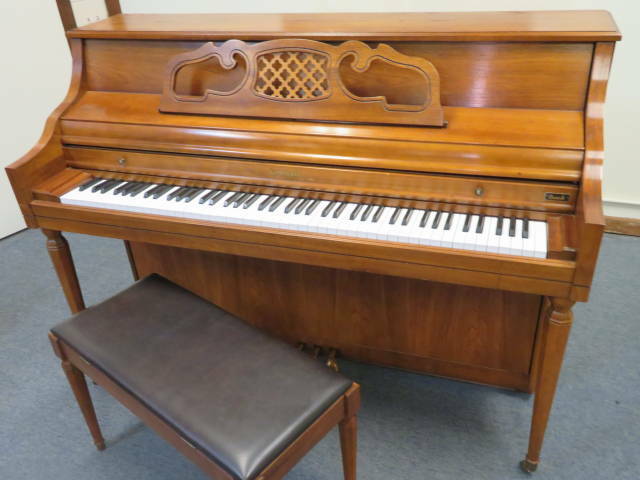 The Cabinet is beautiful oak and is in Excellent Condition. 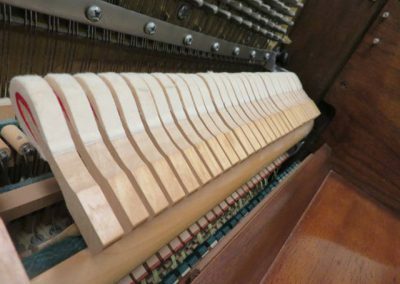 BELLY: (soundboard, pin block, bridges) The soundboard is in Excellent Conditon and the piano holds tune perfectly to A-440 standard pitch. 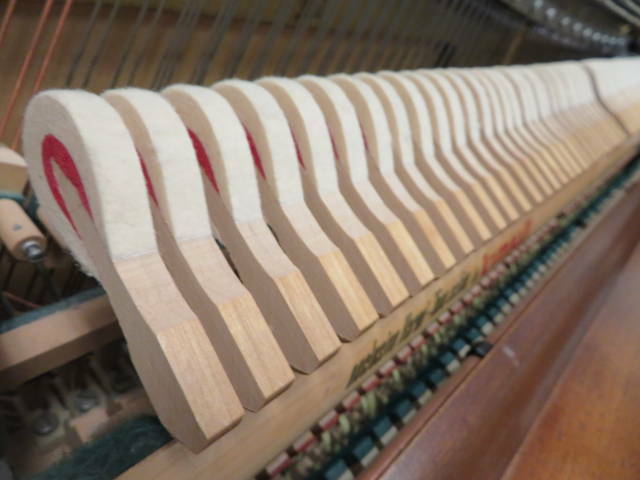 The bridges are in Excellent Condition.